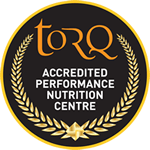 Once again I will be joining forces with AQR skills Coach Ian Potter and Team Specialized racer Kate Potter, who together run A Quick Release Holidays, for the first 2006 TORQ Inspirational Fitness Week. 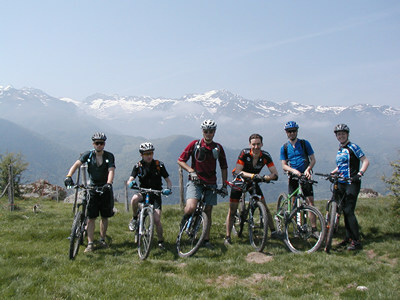 The week runs from June 7-14 in the stunning location of Luchon known as the ‘Queen of the French Pyrenees’. 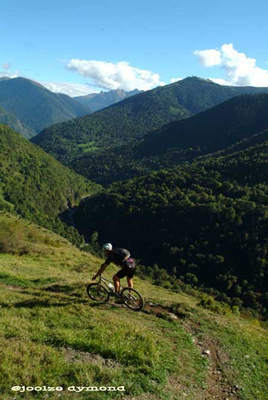 Luchon is the perfect riding territory for any Mountain Biker, with endless single track and Tour De France cols to test your self on. 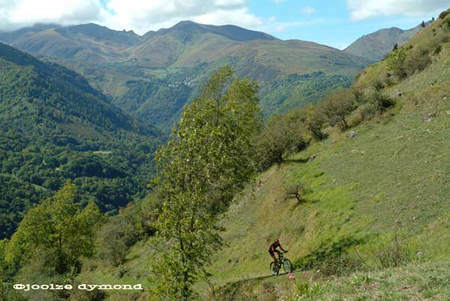 Whether you want to improve your fitness, skill or simply ride your bike, Luchon has it all… if you know where you’re going that is? The TORQ Inspirational Fitness Weeks are very different from your average training camp.  The week is for mountain bikers of all abilities who share one thing in common… a willingness to learn and become a more skilled and fitter rider. Ian Potter teaches ‘trail efficiency’, to be quick whilst conserving energy when climbing, descending and cornering. Ian also focuses on ‘trail craft’, which teaches people how to read the trail and choose appropriate lines according to an individual’s ability. Ian will also focus on several more advanced skills such as drop offs, obstacle clearance, manuals, track stands and wheelies. Ian will also address bike set up and give each person individual consultation on whether their bike has been set up correctly for their individual riding style. I will be holding daily seminars between AQR’s guided rides. Each day I will present a different topic on fitness, nutrition, and training. Matt will also be conducting optional fitness tests at the beginning of the week for anyone who is interested in knowing their fitness level and understanding how they can improve it. Specialized racer and AQR guide Kate Potter has been fortunate to receive both fitness and skills training since she started mountain biking, enabling her to race at an elite level in both XC and ultra endurance events. Kate has won the solo 24hr SITS two years in a row and finished in the top 5 men. If you’re planning to race Mountain Mayhem in 2006 then Kate will be able to discuss her preparation and answer any questions you might have based on her past experience. The TORQ Inspirational week is the perfect opportunity for anyone entering the 24- hour Mountain Mayhem solo or in a team for the first time. Once again, let us make this clear – the week caters for all fitness and skill levels. Even if you don’t intend on racing this year or ever, but have personal goals such as improving technique or simply becoming a fitter rider then this week will benefit you hugely. Of course, with all this other stuff going on, we mustn’t forget the fact that you’ll be taken on a singletrack adventure of a life time, with guided rides every day on trails that you’ll never want to end. AQR also have another little secret…Russ the chef! Speaks fluent French, knows a thing or two about down hilling, and is regarded as the best chef in Luchon. His cooking is simply out of this world! Finally, if you haven’t been sold on the week yet, consider our jovial personalities. In Kate’s words “your hosts Ian, Kate, Matt and Russ providing ample entertainment every day.” I have yet to be briefed on what it is I need to do, but I guess falling off my bike does come rather naturally to me. 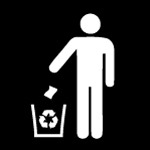 Of course, I will once again be generously donating a weeks worth of TORQ’s rapidly expanding range of energy products. If you would like to book onto our next trip on 7th to 14th June 2006, please phone 0845 128 4312, Monday to Friday, 9am to 5:30pm.